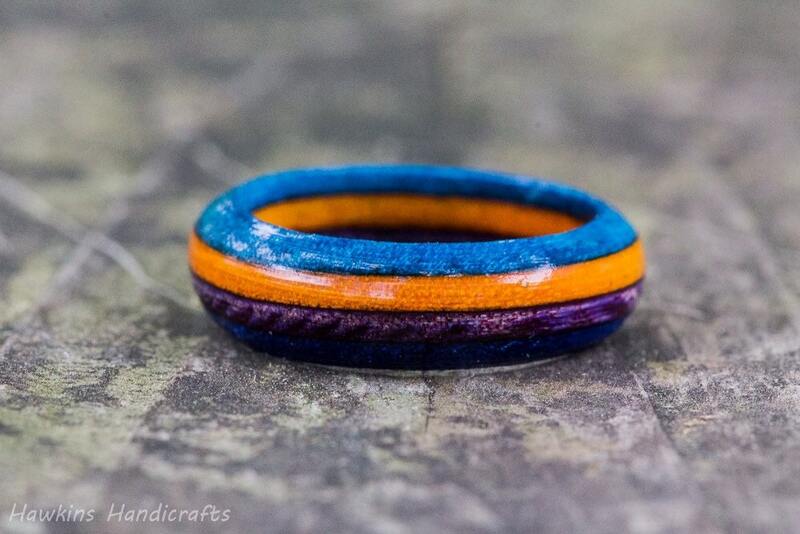 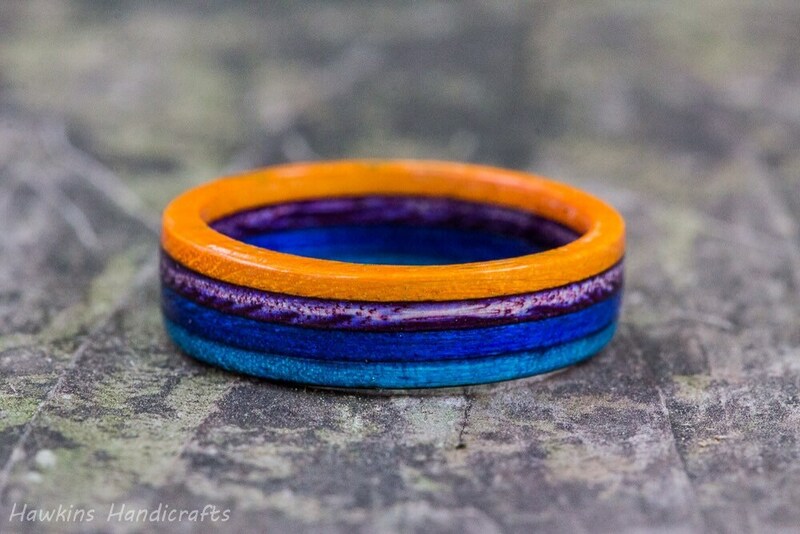 This is a hand-turned orange, blue, and purple Spectraply wood ring custom made to your specifications - choose the size, width, and shape from the options to create your own handmade ring! 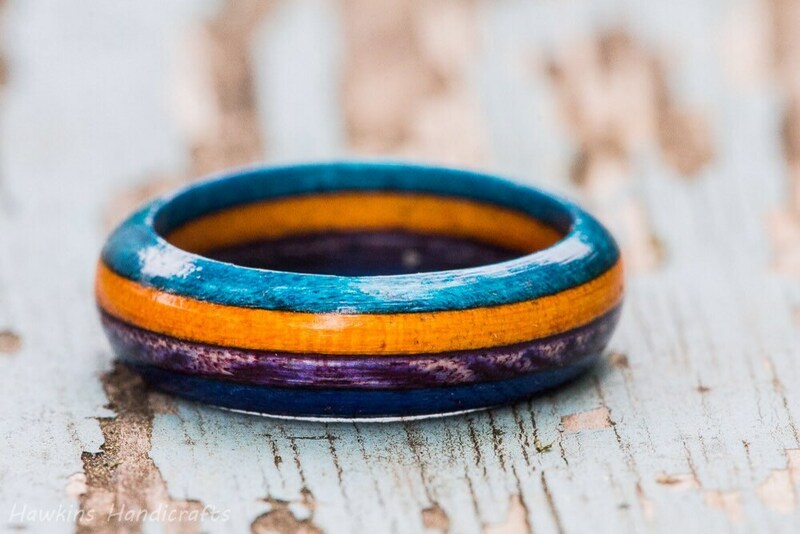 Your ring will have a similar look to those in the pictures, with bright blue, orange, and purple alternating layers - but each ring is a unique piece of wood with it's own unique patterning with no two exactly alike! 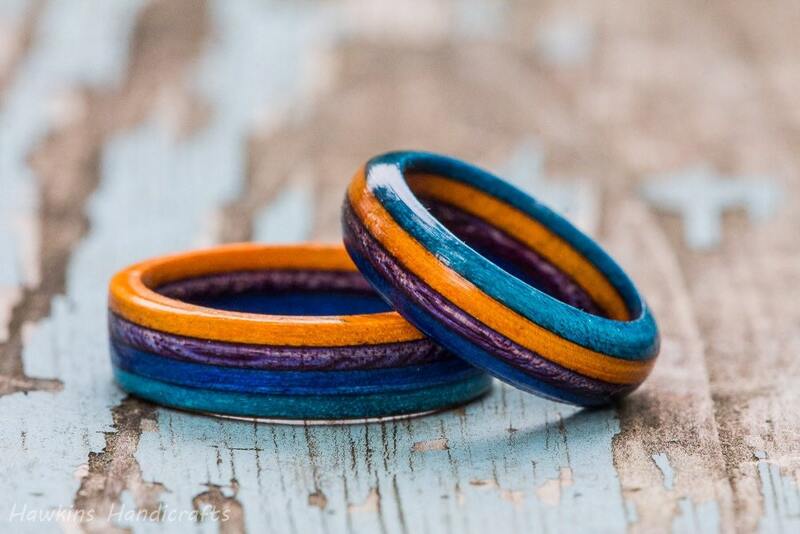 Spectraply is a manmade wood product in which thin sheets of poplar or birch wood are stained, then glued together. 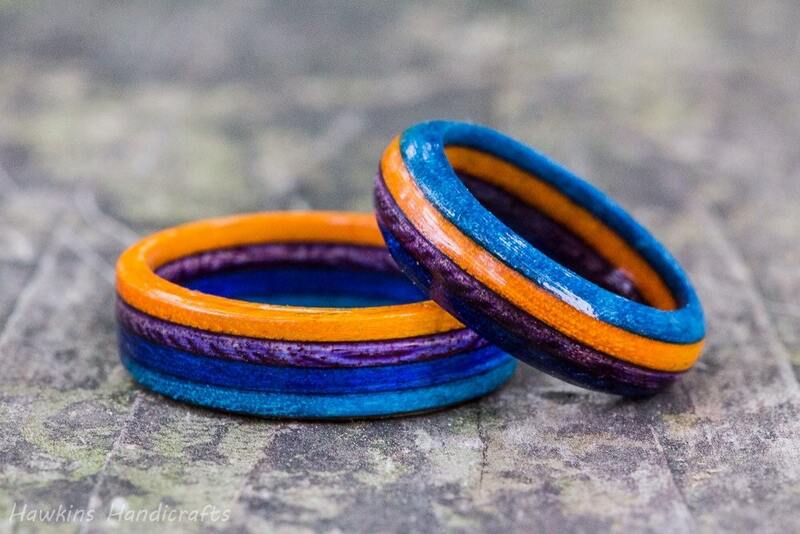 The result is a bright, eye-catching wood that is often used for turning and custom gun stocks.